…among themselves or their staff? Do you feel that in the hectic day to day life of a business, someone who is suffering might not have realised that there was help out there? Do you wish that there was a way to have someone come to you to help your employees, members or team mates help themselves? 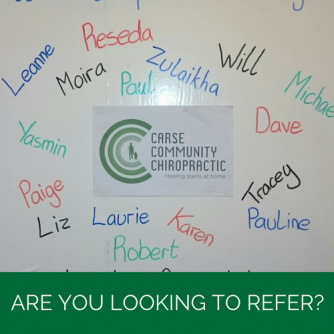 Carse Community Chiropractic is a home based practice but we are not afraid to get out on the road to spread the Chiropractic message or to see if Chiropractic can help with our core belief that chiropractic care, like other health measures, is there to be utilised regardless of an individual's level of health. We all know we can improve ourselves on a daily basis. A perfectly healthy person needs a good diet, regular exercise, proper rest, a good mental attitude and a nervous system without interference. A person at the other end of the spectrum needs the same. 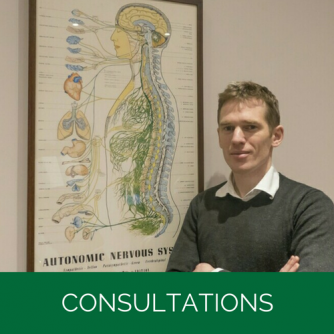 One particular way that I may be able to help your business, society, social club or sports team or club is through visiting your premises at a convenient time for me to offer complementary chiropractic presentation to your members or employees. This could be part of a CPD day at your work or venue where it is being held or within your club or society or over a lunch and learn so that your staff or employees are not out of the office when business needs to be done. 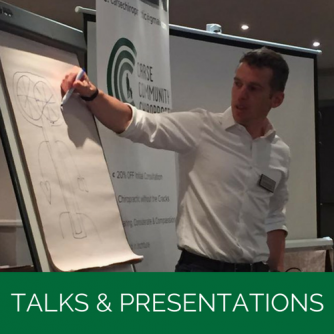 It could be tailored to your company, club or teams needs or requirements or I can give a general overview of how Chiropractic can fit into your day to day lives and make your businesses more productive and with a healthier workplace. If you are interested then please fill in the form below.